With a few months still between now and the first kickoff of the NFL season, we continue our weekly previews of matchups we can’t wait to see in 2014. This division rivalry pushed the intensity way past level 10 in 2013. The Seahawks handled the 49ers in their first meeting, but San Francisco got revenge later in the season with a 19-17 win at Candlestick Park. The intensity increased again when the two teams met with the NFC title on the line. We’ve all seen it by now — Seattle’s Richard Sherman tips a pass intended for San Francisco’s Michael Crabtree, resulting in an interception that secures the win for the Seahawks. Sherman goes bonkers in the post-game interview, leaving FOX Sports reporter Erin Andrews bewildered when he screams “don’t you talk about the best,” only for Andrews to reply with utter confusion: “who was talking to you?” Sherman went on to explain many a time that he was referring to Crabtree, calling him a “mediocre” receiver, a sound byte that bounced the needle past the boundaries of the sports media. But beyond Sherman’s trash talk, recall that we saw a compelling matchup between a team anchored by the NFL’s best defense in 2013, and a squad led by the playmaking abilities of 49ers quarterback Colin Kaepernick. Though he had been struggling on 3rd down throughout the game, Seahawks quarterback Russell Wilson completed a touchdown pass on third and 25 in the 4th quarter to give Seattle a 20-17 lead. 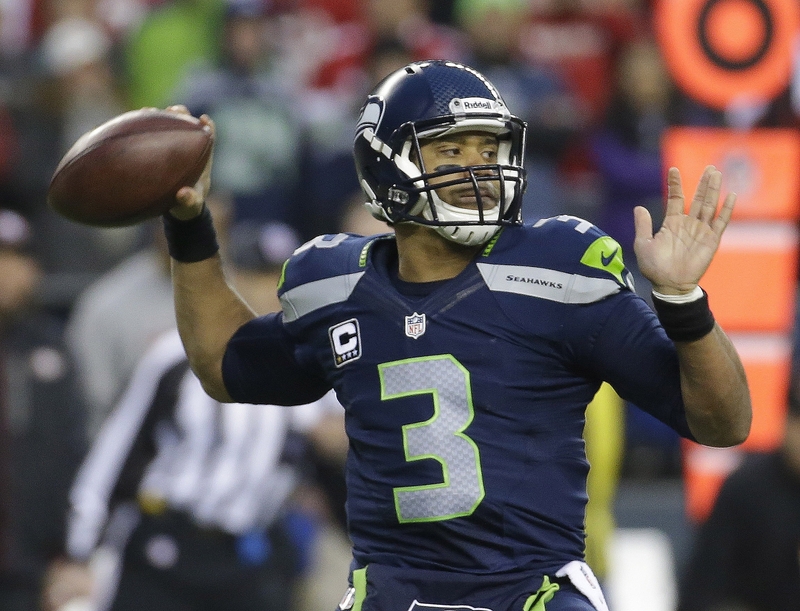 Wilson’s quarterback counterpart, meanwhile, turned the ball over three times in the 4th, including the pass tipped by Sherman in the corner of the end zone on the final interception. Kaepernick was understandably terse in the post-game press conference, and in the hours and days that followed the game, the trash talk only increased. With more than 10 months to let the loss stew in the hearts of the 49ers, imagine how much emotion will flow through these teams’ games in 2014. This is a fascinating, multilayered rivalry heading into 2014. First, we have a reigning Super Bowl champion with its fiercest opponent awaiting them twice in the regular season. Secondly, the extended development of Wilson as an elite passer will undoubtedly be tested in these games, despite San Francisco losing hard-hitting safety Donte Whitner to free agency. And finally, we will sit back and enjoy the latest battles between Sherman and Crabtree. With the most important pieces of the Seattle defense returning for another run at a title in 2014, as well as additions to San Francisco’s roster — running back Carlos Hyde makes their multidimensional attack even deeper — games between these two squads should only continue to provide great drama. We can’t wait.